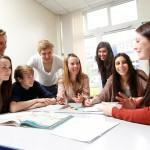 GCSE and A level revision courses are growing in popularity as more teenagers decide to spend their revision time in a stimulating, distraction-free learning environment. However, this growing popularity means more and more start-up revision course providers are entering the market. The content and quality of these courses can vary enormously. 1. How many hours of study do you get? Find out how much time your child will actually spend with the tutor. Some training providers quote an impressive course duration which actually includes time spent on exam papers and breaks, when tutors are not actively working. 2. How many students will be in the class? Look for a small class size, but not too small. Less isn’t always more, and a very small group can be intensive and intimidating – or even boring. We think nine students is a good maximum class size. 3. Who will be doing the teaching? Many course tutors out there don’t teach students in mainstream education – so how can they know how to work effectively with your child? By contrast, 97% of Justin Craig tutors are teachers working in the education system. Many are examiners. 4. Is the course specific to a particular exam board? 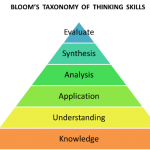 The most important thing is that the course contains relevant content, taught well. In fact, many providers who promise exam board specific courses don’t actually stick to this promise. 94% of Justin Craig courses are either exam board or module specific, depending on which is most appropriate for the subject and group. 5. Is the course provider established, and what else do they do? 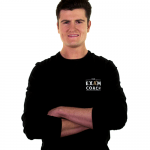 Learn about the history of the revision company and how much experience its tutors have. Make sure providing revision is part of their core business, because group revision courses are very different to one-to-one tuition. Also be aware that courses run by schools and colleges typically narrow their selection of tutors to those already working for them, whereas Justin Craig selects the best people from top schools and colleges nationally and can therefore pick the very best available. 6. How is course effectiveness measured? Ask prospective course providers to supply testimonials from students and parents. And see if you can find out how much of their business comes from repeat customers, or recommendations. 7. What happens before the course? Understand how the course tutor prepares for the revision course. Do they make sure they understand your child’s particular needs? Is there communication between tutor and students before the course? 8. How much does the revision course cost? 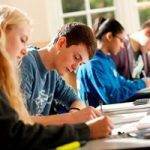 We believe Justin Craig Revision Courses offer extremely good value for money. Please call 01727 744340 for 2018/19 fees. Our revision courses bring students together in small classes, within a friendly, informal environment. Every course aims to consolidate learning whilst focusing on individual problem areas, ultimately improving knowledge and understanding. We’ve been running these courses for over 30 years, conclusively proving that they deliver results. Indeed, 94% of our students rate their tutor as good, excellent or amazing. For further information on Justin Craig revision courses, please call one of our expert advisors on 01727 744340.